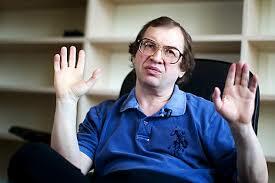 Mavrodi has been elected as a lawmaker in 1994, but his immunity was taken away in 1996. He was convicted in a Russian court of defrauding 10,000 investors out of 110 million rubles ($4.3 million). However, some people believe that it stands for Mavrodi Mondial Moneybox. The company got a lot of money from people – it was making about 50 million USD each day. As the biggest online news platform in Nigeria, NAIJ.com openly replied Mavrodi’s letter lecturing him about the existence of Freedom of speech and and the importance of press as one of the fundamental values of Nigeria.